Mass Effect Andromeda Facegate: BioWare Looking to Patch Its Issues | Nerd Much? Another day, another example of how publishers and developers should have waited another month to release their game. 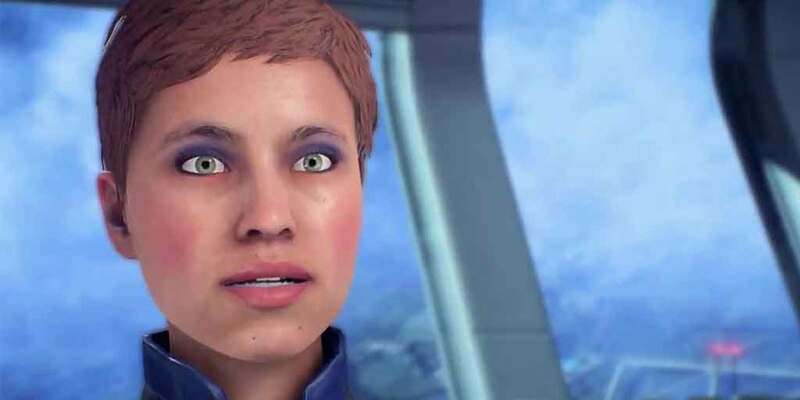 For those unaware, Mass Effect: Andromeda released to some serious negative feedback from fans complaining about the game’s awkward and generally poorly created animations — mostly referring to the facial animations of numerous characters in the game. We’re officially calling it Andromeda Facegate at this point, but it looks like the gripes might be short-lived. We’ll be interested to see how long it will take BioWare to patch the game, which, at this point, previous potential buyers are holding off on. It’s unfortunate to see yet another highly anticipated game release in such a wonky state. Hopefully, BioWare won’t take too long to fix the game’s many bugs so that more fans will be more enticed to purchase the game. But, unfortunately for them and EA, it might be too late. It just goes to show you that developers need to take (and publishers need to allow) more time for a game to cook in the oven so that the bugs can be squashed before release, as this trend of fixing broken games after launch has to stop. For more of the latest rumors and news in video games, stay tuned to Nerd Much?.